Newcastle United are being linked with Fiorentina defender Tomas Ujfalusi. The Czech defender has agreed not to renew his contract at Fiorentina, and will therefore become a free agent in the summer. Ujfalusi is linked with possible transfers to Juventus, AtlÃ©tico Madrid, Sevilla, Tottenham, and Liverpool and can play either at center-back or right-back. As he will be a free agent in the summer he wouldn’t cost anything in transfer fees, and apparently Newcastle have now registered their interest. Kevin needs a new right back to challenge Habib Beye for that position, and maybe Tomas is a contender there. The Czech defender is said to prefer a move to Spain, but reports suggest that the Tyneside club will still make an attempt to bring him to St. James’ Park. 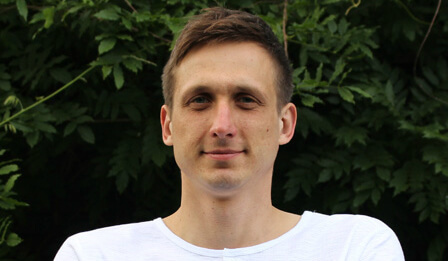 Tomas has played for the Czech Republic 64 times and scored 2 goals. Â£16 mill, for a 30 year old – your having a laugh. Be better to keep hold of Rozy. Leo you beat me with your coment,i was just about to say the same thing. Another will’o’the’wisp to chase. This bloke looks like another glory hunter to me. We do not need a 30 year old as an understady to anybody! did’nt you get the link? Its 16mill for Arda Turan..He plays for galatasary and if anyone asked i have no idea what he like. This guy is really quality, however I think he is 29. Followed him for some time. He is solid as a rock BUT I wouldnt pay more than 6M for him at this stage of his career. Newcastle Club offered a very high amount for the transfer of Galatasaray’s star player Arda. Britain’s Newcastle Club offered Arda an annual salary of $2 million and $16 million to Galatasaray. Newcastle offered $16 million to Galatasaray for the transfer of Arda and wants to finish the transferring procedures before EURO 2008. Galatasaray has a cold attitude towards selling a player. Arda Turan, who has moved Galatasaray to the top this season, is receiving numerous offers. The young player has received many proposals from European clubs and says: “I want to stick with Galatasaray.” Recently, Newcastle United offered Arda an annual salary of $2 million and $16 million to Galatasaray. Newcastle wants to finish the transfer procedures before EURO 2008. Very very good player. I think he wont be joining us. hes good that turan arda! if they are hoping he plays well during the 08 Championships so his price “doubles” I hope he snaps both his achilles and is worth fook all. If we are going for Turan that must mean either N’Zogbia or Duff is leaving as don’t need 3 left wingers. Unless Keegan is looking to play him on the right. From what i have heard Turan is very good. And if the report of $16M – Â£8M is true i think thats a steal. they said on skys revista this week that ujfalusi has already agreed to sign for athletico madrid. If they struck a deal with Gala to give them Emre after a season for free so that Gala accept the offer. Then Emre can help Turan settle in and when he’s fit after a season, he can head back to Turkey! Turan at only Â£8m is practically an abduction. My jaw would hit the floor if that actually happened. where did the Arda Turan news come from? link? john i am being practical . Turan right now might be the best player in the turkish league ( when it comes to skills) . I am sure many of youll must have seen him play against liverpool . That guy is top class . I would be the happiest if he comes to st james . But its difficult as when other top clubs join in for him , he wld want to go to a place where its not as cold and where he gets to play champions league . ujfalusi is very much a CB not a RB. for free he’s useful- a good professional but then so was cacapa…. But would’nt you be upset if we did’nt even at least try and get these type off players.. Whats the point if were not even going to try and get these great players. We may aswell and stick to getting players like Boa Morte if we have that attitude..
true . makes no sense getting linked to players like boa more and dunne ( i personally dont like him) and so on. i hope we do try to get him . but i see no concrete article yet . arda turan for 8 mil? give them 12 mil that’s about 25 mil dollars. should get him with that now. after the euro we’ll have to give them at least 35 mil dollars. Palladino may be leaving Juve! Now thats a player id definitely like us to try for. wouldnt mind palladino. and also turan. He will ask Rozenhal about the toon and he will tell him not to come. Plus he has already said he wants to move to spain. Arda Turan- iv not seen much of him, anyone tell me how good he is? Got to laugh at Galatasaray’s attitude. One minute they are saying he’s there best player and he’s going nowhere. Next minute they are saying they want to wait until after Euro 08, so if he has a good season they will cash in. I’d be a bit miffed if I was a Galatasaray fan. I’d rather we kept our best players rather than sell them on. optimistic at best for both Arda and Ujfalusi………. he looks like an absoloute machine. a beast. like gattusaeu…. Makes me laugh when I see his name, sounds like some one from Wiilly Wonkas chocolate factory.